Natalie qualified in 2009, and joined the practice shortly after. She provides the full range of hygiene treatment including complex gum treatment, stain removal and tooth whitening. 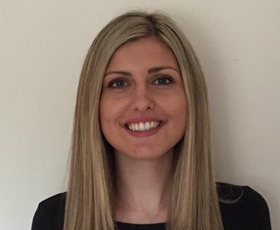 Natalie enjoys treating anxious patients and children and always puts patients at ease. Natalie leads the oral health programmes at this practice. She enjoy spending time with her friends and family and going to the gym.